A Burundian man steps off a bus in Tanzania and waits to be processed at a refugee camp. Two of his brothers are dead, and his parents have disappeared. With no idea what lies ahead, other than a conviction that it must be better than what he has left behind, he lines up and waits to be processed. He is about to become one of the 17 million people around the world—equivalent to the population of Holland—who are refugees. In an era in which refugees dominate headlines, WELCOME TO REFUGEESTAN is an essential exploration of both the refugee experience and the failures of a system that can keep people trapped and stateless for decades. The lives of refugees are not easy: They are housed in camps often surrounded by barbed wire; forbidden from working; subject to frequent dehumanizing security checks; and ruled by the United Nations High Commissioner for Refugees (UNHCR), a distant, colonial-style bureaucracy. WELCOME TO REFUGEESTAN takes viewers inside refugee camps including the Dadaab camp in Kenya: the world's largest, with a population of 350,000. The brand-new Azraq camp in Jordan, built to house Syrian refugees, was supposed to be a model of enlightened design. But with its grid of soulless, identical white buildings under the hot desert sun, it is so dispiriting that it has become a cautionary tale. Director Anne Poiret also visits Norway, where humanitarian workers are trained in the arts of negotiating with corrupt officials, and to the UNHCR offices in Switzerland, where innovation is the buzzword of the day. 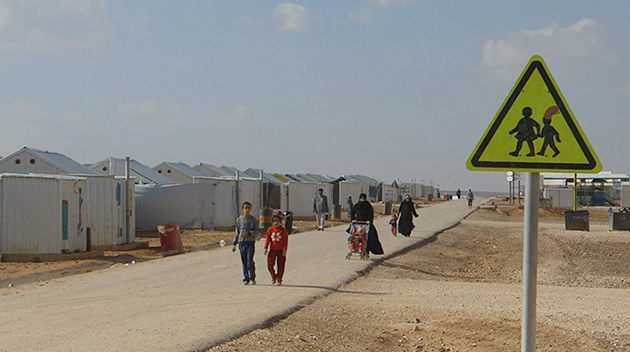 The film also reveals how the world's refugees are also becoming an important market as camps become places for companies to test out new technologies ranging from cardless ATMs to solar-powered lights, and retail outlets cater to a captive population prevented by barbed wire from shopping elsewhere. As the world grapples with an ever-increasing number of people fleeing conflict, WELCOME TO REFUGEESTAN provides an important look at the daily experiences of refugees trapped by a system that defies logic. Takes the viewer on a journey through the past century - the bloodiest in history - from the perspective of children, and tells their stories in their voices. An investigation of America's food aid programs for famine-stricken nations, a multi-million dollar business, which asks both U.S. and African government officials whether such aid creates more problems than it solves. Tens of thousands of women have been raped during 20 years of war in eastern Congo.